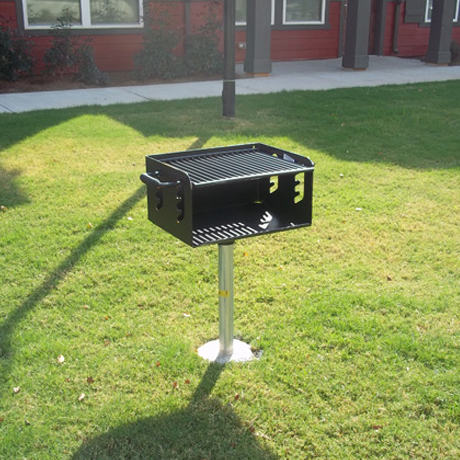 Charcoal Barbeque Grills for public use are perfect for apartment communities, HOA's, campgrounds or picnic areas. Fire rings will be a complimentary addition to any outdoor area, turning an ordinary space into an extraordinary atmosphere! 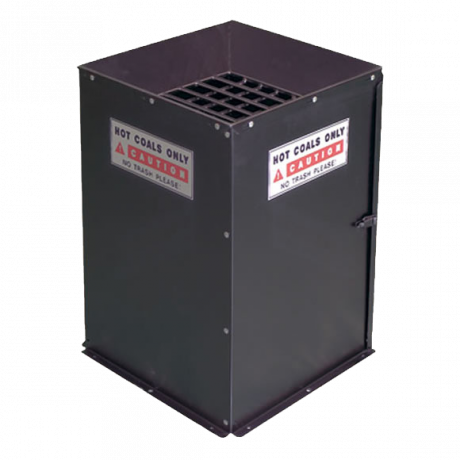 Hot Coal & Ash Bins - It is imperative that your grillers and s’more makers have a safe container to place their hot coals and ashes to allow them to cool. 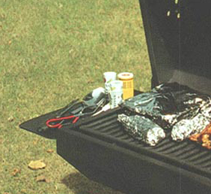 Pedestal Grills: Ideal for campsites, picnic areas, pavilions and other outdoor facilities where grilling is common. Group Grills: Provide more cooking surface than regular sized park grills, allowing for larger parties to eat all at the same time. Fire Rings: The perfect solution to replace a ring of rocks! Have your guests gather safely around a fire pit to share ghost stories and s’mores. Ash Disposal: A safe alternative for your patrons to dump their hot coals and ashes instead of leaving them to cool on the ground, where they could potential start a fire! 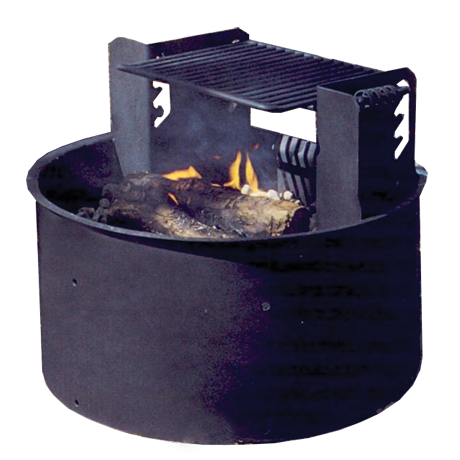 When it’s time to chill out, grill out, and warm up be sure to have a park grill or fire ring waiting for your guests! Call us to pick the perfect addition to your campground or picnic area!